Welcome back to Live the Organic Life. Here are the Holiday Favorites that I promised you from my last email. It’s a time for celebration, reflection, gratitude, hope, and much more. It’s a time to enjoy family, friends, traditions, but unfortunately all of this comes with an increased of high-calorie food. We want to help you find the middle ground. We want you to enjoy all that the holiday food by putting together a list of some of our favorite holiday recipes, each with a healthy twist. Now you and your company can enjoy great-tasting food and not feel guilty about it. In fact, there’s a good chance that your friends and family are going to want the recipes. 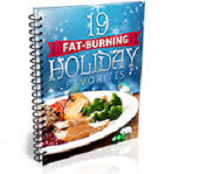 In a few days I will send you ==> 23 Fat-Burning Baked Goods & Desserts!